Mac’s Trucks is committed to protecting and respecting the privacy of our customers. Our policy, complete with associated documents referred to within, highlights how we process the personal data you provide us or we collect on you. We advise you to look carefully at the following content to fully understand our views and practices about your personal data and how we treat it. 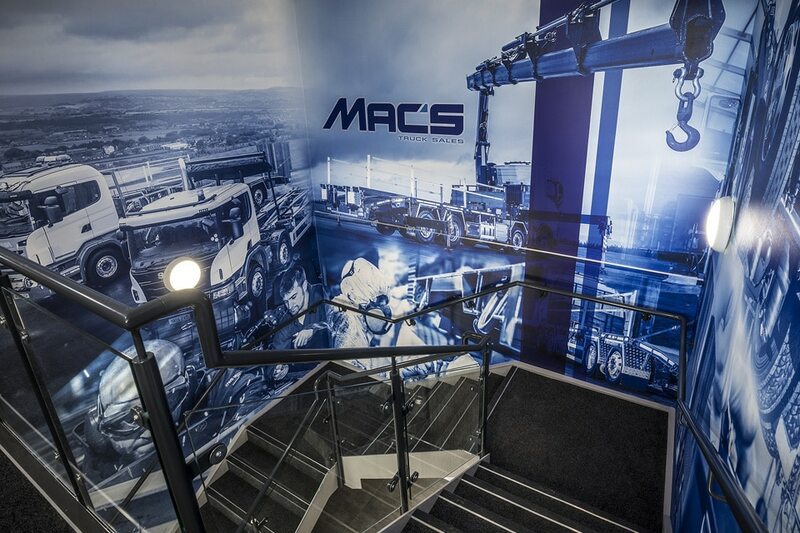 Mac’s Trucks, Alexandra Park, Crosland Moor Road, Huddersfield, West Yorkshire, HD3 3ZA. 1.1 We collect and process data from visitors to our website at macstruck.co.uk. Mac’s Truck retains your information while you remain an active customer, unless you ask us to delete your information. If you stop being an active customer we will retain your information unless you request that your details be deleted; however we will only contact you if we believe the information we intend to send to you could be of ‘legitimate interest’ to you or your company. If you have requested information from us, we will retain your information until you request to be removed/deleted. Subject to the exceptions described below, Mac’s Truck deletes or anonymises your information upon request. 3.2 Mac’s Truck may also retain certain information if necessary for its legitimate business interests, such as fraud prevention. 4.1 We may collect information about your computer, including where available your IP address, operating system and browser type, for system administration purposes. This is statistical data about our users’ browsing actions and patterns, and does not identify any individual. This information will be deleted after three months. 8.1.3 We are under a duty to disclose or share your personal data in order to comply with any legal obligation, or in order to enforce or apply our terms and conditions and other agreements; or to protect the rights, property, or safety of Mac’s Truck, our customers, or others. 8.2 You have the right to ask us not to process your personal data for marketing purposes. We will usually inform you (before collecting your data) if we intend to use your data for such purposes or if we intend to disclose your information to any third party for such purposes. You can exercise your right to prevent such processing by checking certain boxes on the forms we use to collect your data. You can also exercise the right at any time by contacting us at selena@macstruck.co.uk. 10.2 Any formal subject access request should be made in writing to the address below. This will be provided FOC. However, we may charge a reasonable fee for repetitive, unfounded, or excessive requests or additional copies.